Any court reporter with which you work should have a CSR license. 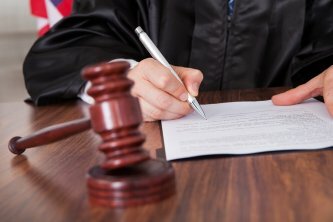 You should also look into a court reporter’s reputation to ensure that they provide professional services. From punctuality to work ethic, all of these qualities can affect how well a court reporter can do his or her job. On top of court reporting, there are other services that can help you during depositions, board meetings, corporate meetings, legal statements, trials, hearings, arbitrations, and interviews. You can also take advantage of video streaming, digitization, and video conferencing services. Find companies that also use transcript repository services and trial transcripts. A company’s reputation says a lot about the services they offer. Before you agree to work with anyone, look into a company’s reputation to make sure they can offer you the kind of services you need. A company should have court reporter’s that provide clean, concise transcripts. The company should also have great customer service and make it easy to contact a real person when you need to talk to someone. Court reporters in San Jose help you create transcripts from legal and corporate meetings so you can stay organized and protect yourself from future issues. When you find the right court reporter, it is easy to take detailed transcripts of all of your important meetings. Take the time to find a court reporter from a company with a strong reputation to ensure you get the services you deserve. Just because you are meeting virtually does not mean you should act anything less than professional. Arrive to the meeting room on time and be courteous to your fellow attendees. You should all take the time to introduce yourselves as the meeting starts. Make sure your phone is set to vibrate or silent and do not answer any emails or text messages during the meeting. Even with quality audio/visual equipment, you should make an effort to speak clearly so that everyone can understand what you are saying. Speak slowly and be sure you cover your material before the meeting starts so you feel comfortable with your topics of conversation. Try not to shout, though, because the sound will come out even louder to the other people at the videoconference. You should also refrain from having side conversations during the meeting because other participants can hear the background noises. Since you are on a videoconference, the other participants can see what you do. Try to avoid moving your hands or your head too much as you speak. You should also make an effort to make eye contact with your audience, which means you should look directly into the camera as you speak. You should adhere to your company’s dress code for the videoconference. Do not wear anything that is too casual or too revealing. Try to avoid really bright colors, stripes, or loud patterns that might not translate well over the video screen. Aim for lighter colored shirts. Video conferencing solutions in San Jose make it easier to conduct business on a large scale. With the right equipment and the proper etiquette, you can use videoconferencing solutions to optimize the potential of your business. Storage of important legal documents is always a concern for lawyers. Documents have to be absolutely secure, yet also organized and easy to access. Furthermore, there needs to be adequate space to store thousands and thousands of pages of deposition transcripts, trial transcripts, and other legal documents created by court reporters serving your San Jose staff. The good news is that there could be a solution to this organizational dilemma—a repository service . A repository is a digital record of all of your legal documents. Once your documents are uploaded, you can access them from anywhere using a secured site. You can set up your account to give access to as many—or as few—people as necessary, including your court reporter and your employees. 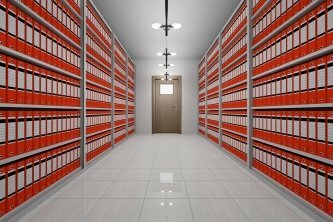 You’ll solve your physical storage problems and increase client security while reaping the benefits of easier research of past cases by moving your legal documents to a repository service. 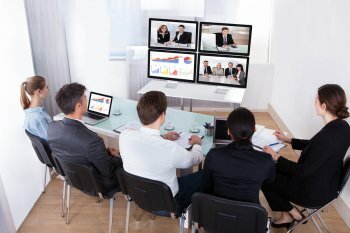 Videoconferencing meetings are a great way to bring colleagues together across the miles, but for effective collaboration to take place, people need to feel a connection with each other. Just because you’re not meeting in person doesn’t mean you have to sacrifice that connection. It all comes down to a great introduction. For your next videoconference in San Jose, use the tips in this video to make your introduction really count. Avoid introductions that sound like a rundown of your resume. Instead, share a little bit about your true self during your videoconference. Give your fellow attendees a glimpse into what makes you tick to make them feel like they know you a little better. Creating these personal connections in the business setting can help to foster creativity and collaboration during videoconferencing meetings.